My name is August Sallas and I am the President of the Little Village Community Council, 3610 W. 26th St., Chicago, IL 60623. My cell is 312/286-3405. The purpose of this letter is to inform you that the resident and business people of Little Village do NOT want a public housing project in our neighborhood. Our main concern is crime. As you may know, gang violence and crime is the number one problem in Little Village. And, as you know, former Mayor Richard M. Daley closed down public housing in Chicago because of crime. The Little Village Community Council and HOPE hosted six  community meetings to give Alderman Ricardo Munoz [22nd ] an opportunity to hear our concerns and opinions about what should be built at 26th St. & Kostner Ave.
Ald. Munoz has ignored our invitations and he has refused to attend any one of the meetings. He has failed to inform the community about the public housing project. 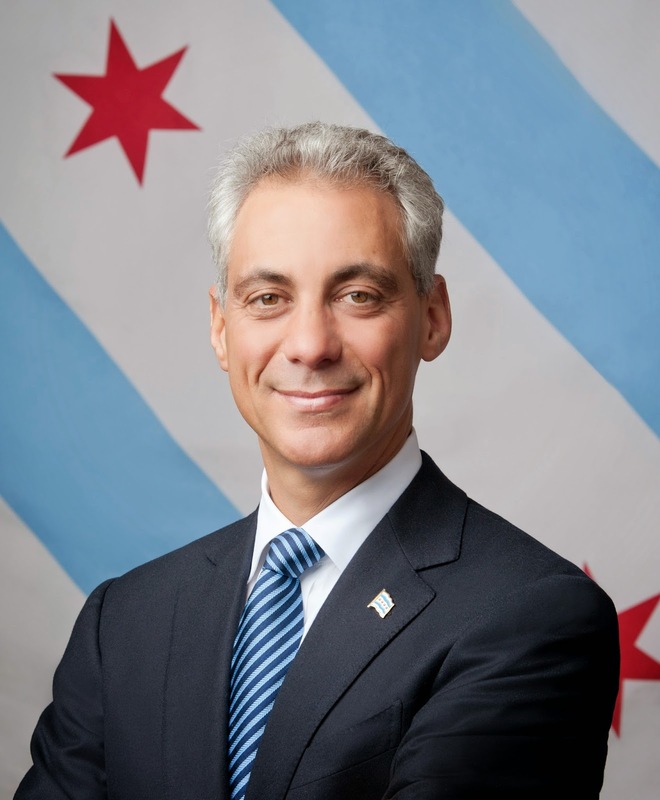 On March 27, 2014 at Epiphany Church hall, 100 residents waited for him; and Ald. Munoz was a "no-show." Public Housing is of no benefit to the residents of Little Village. In conclusion, we are asking you to stop this project. Your support on this matter will be greatly appreciated by the business people and residents of Little Village. cc: Ald. George Cardenas, Ald. Danny Solis, Ald. Edward Burke, State Sen. Tony Munoz, State Sen. Steve Landek, State Sen. Martin Sandoval, State Rep. Edward Acevedo, State Rep. Lisa Hernandez, State Rep. Silvana Tabares, Police Commander Maria Pena, 10th District, Baltazar Enriquez, HOPE. INSIGHT: Ricardo Munoz has been the representative [Alderman] of the 22nd Ward since 1993; appointed by former Mayor Richard M. Daley. In those 21 years that Ald. Ricardo Munoz has been the alderman, gang violence has gotten worse in the Little Village neighborhood. Many of our youths have lost their young lives to gang violence. THE YOUTH of Little Village need the following: a Youth/Recreational Center, a soccer field and/or park, or a Vocational Trade School. Young people in our neighborhood desperately need a safe place to play or facility to learn a trade and the necessary skills to earn a living. We need to help our youth with an alternative to gang affiliation. THE LOTS at 26th St. & Kostner Avenue is an ideal location for the development of a center similar to the Odeum Sports & Expo Center in Villa Park, IL, which would benefit the youths and residents who live in Little Village. Saving our youth should be uppermost in all of our minds. CHANGE OF DATE: Students from America's Career Institute will be giving FREE haircuts and manicures at the Little Village Community Council, 3610 W. 26th on Saturday, May 3, 2014 from 10 a.m. to 3 p.m. No appointment necessary. Hair stylists giving free haircuts. CORTES DE PELO y manicures gratis, 03 de Mayo 2014 a 10 a.m. to 3 p.m. No se necesita cita. Doors will be open at 9 a.m. FOR MORE information call 312/286-3405. MAY DAY: Larry Slvack, President, of the Illinois Labor History Society [ILHS] has announced that this year is the 125th Anniversary of May Day, the International workers' holiday. The celebration of May Day will be held Thursday, May 1, 2014 with a ceremony at the Haymarket memorial at Randolph and Des Plaines at 3:00 p.m.
HOSTING THE May Day event will be Chicago Federation of Labor, Illinois Labor History Society and Chicago Jobs with Justice. The French General Confederation of Labor [CGT] will be represented and will add a plaque to the growing international tributes on the memorial. For more information call 312/663-4107. Mary Louis Castro, Passport Day Report, Adela Spezzia, Haircut Day, Movie Review: "Cesar Chavez" & "Noah"
THE OLDEST VETERAN in Little Village has passed away. 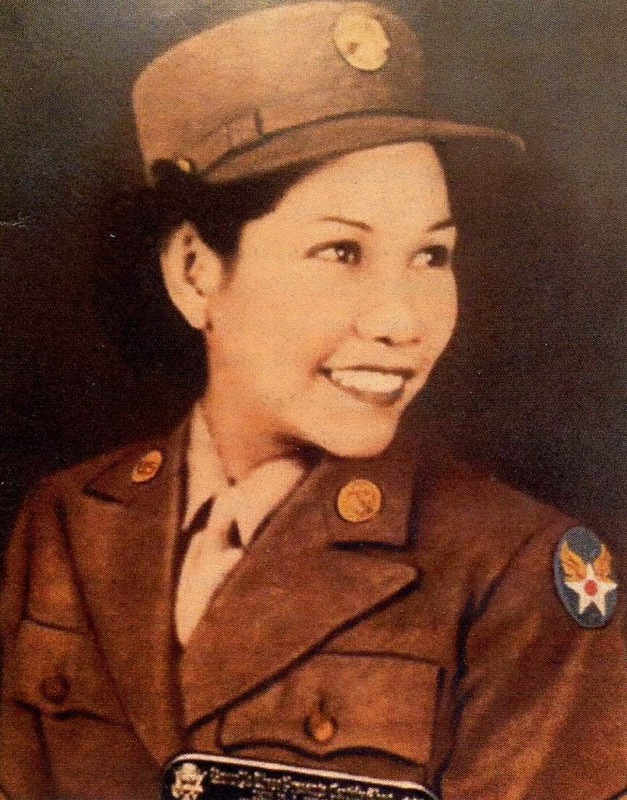 Mary Louise Castro, 96, died March 25, 2014. Mary Louise was the first Mexican-American woman from San Antonio, Texas, to serve in the Army during World War II and in Pearl Harbor. She joined the Women's Army Corps [WAC] and served in World War II, the largest and most violent armed conflict in the history of mankind. She served in communications in Morse Code Operations, and trained new women recruits. She worked in the Department of the Army, a Buyer for the Department of Defense, in the Social Security Administration, completing 34 years of government service. A LIFETIME resident of the Little Village community, Mary Louise was the first woman veteran member of the American GI Forum of Illinois; served as Chapter Chair of the Chicago Midwest GI Forum Chapter; elected in1984 as the Sergeant of Arms of the American GI Forum's National Conference. She was the only woman to serve in a national capacity since the organization was founded in 1948. Mary was also a Board Member of the Veteran's Outreach Program of Illinois and co-founder and Board member of SER. MARY LOUISE served on the Veteran's Advisory Council of the City of Chicago and was a personal friend of the late Mayor Richard J. Daley. She was also a charter member and field representative for the Women's Veteran Memorial Wall Foundation. She served as a foster mother for DCFS, a community sports reporter, past member of LULAC and an organizer of a women's bowling league. Mary Louise received numerous merit and appreciation honors including the National Association of Illinois Women's Veterans, the Golden Eagle from Dr. Garcia, founder of the American GI Forum and a member of the Dr. Hector P. Garcia AMVETS Post 326 in Little Village. AMVETS members posted colors at the wake. SHE WAS honored in the book and the HBO special entitled “Americanos” Latino Life in the United States prefaced and signed by Edward James Olmos. Mary Louise was fondly nicknamed: “Mary Louigee”. She was the mother of three children: Gloria Nabors, Linda Molina and Leo Castro. Mary Louise' husband was the late Rosalio Castro. MARY LOUISE was laid to rest at the Abraham Lincoln [VA] National Cemetery in Elwood, IL. She was given full military honors at the grave site in a program, “Honoring Those Who Served” on behalf of veteran's family. Taps were heard echoing in the serene cemetery grounds. ON A PERSONAL note I knew Mary Louise when she served on the Little Village SER Board of Directors many years ago. Mary was very supportive of my position as the Chairman of the SER Board. She always expressed her concern for the youth of our Little Village community. Her friendship will be missed. UPDATE: There were 32 adults and 19 children who applied for U.S. Passports on“Passport Day” sponsored by the Little Village Community Council and hosted by staff from the Chicago Main Post Office. Passport Day was held last Saturday, March 29, 2014. Processing of the applications for a U.S. Passport went smoothly. The non-English speaking applicants were given assistants by a bi-lingual post office clerk. There were no glitches. THE POST Office staff worked from 10 a.m. to 4 p.m. and they were courteous and friendly to everyone. This was the second time the Post Office people came to Little Village to serve our community. Today, everyone needs a passport to travel outside of the U.S., especially children. To go to Mexico, every member of the family needs a passport. A SLUGGER: Adela Spezzia, a junior at Cristo Rey Jusuit High School in Pilsen plays shortstop in the school's “Cristeros” girl's softball team. On Saturday, March 29th, Adela hit a home run, a double and two singles winning against the “Perspectives” team ending with a score of 22 to 3. ADELA is a volunteer doing her service community hours in Little Village. “I live in Little Village and I would like it to be a safe and clean neighborhood,” said Adela. Two students hair stylists giving haircuts. FREE HAIRCUTS: The students from the American Career Institute will be giving free haircuts and manicures at the Little Village Community Council, 3610 W. 26th St. on Saturday, May 3, 2014 from 10 a.m. To 3 p.m. No appointment necessary. 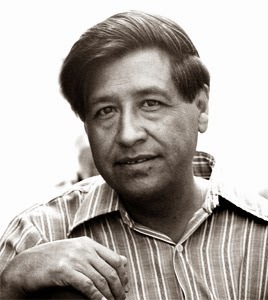 MOVIE REVIEW: The “Cesar Chavez” movie was based on the true life of Cesar Chavez and the struggle of the farm workers. Actual news reel footage of the struggle was used throughout the movie. Chavez gave his life to the struggle to organized the farm workers into a Union. Against all odds, Chavez was successful in organizing a Union. Movie star Michael Pena who played Chavez was raised in the Pilsen neighborhood here in Chicago. The film director was Diego Luna. I give it three  stars. The movie “Noah” was not biblically accurate. It's a sci-fic movie. I give it one  star.